Earnings per share (EPS) from Continuing Operations Grew 62% to $0.54c. Net Revenues saw a decline of 9%, due to bottler refranchising. Next earnings date: 14 February 2019. 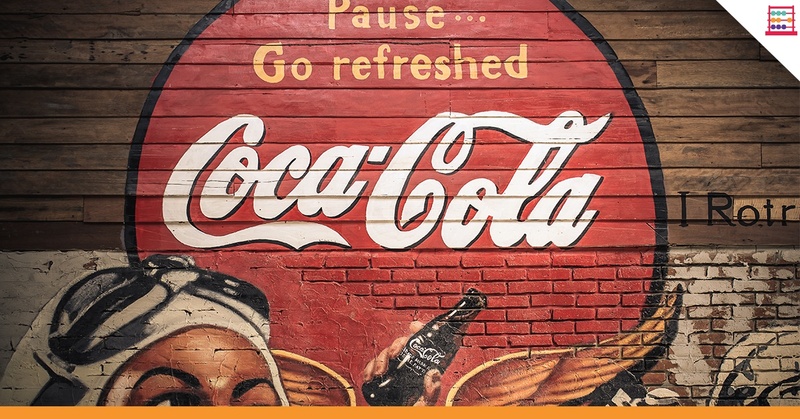 Take note that The Coca-Cola Company have declared a dividend of $0.39 cents per share, with the Ex-Dividend date falling on the 29th of November 2018. The expected dividend payment date would then be on the 14th of December 2018. 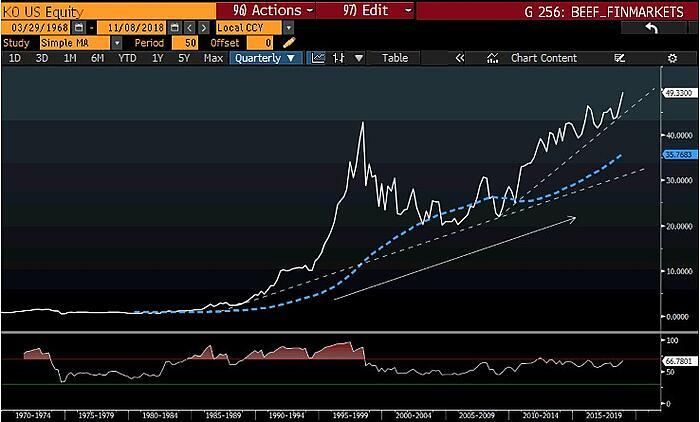 Taking a closer look at the chart we can see that the stock is currently at an all-time high, trading well above the 50-day moving average. From looking at the Relative Strength Index (RSI indicator) at the bottom of the chart we can see that the stock is not over bought, which indicates there might be more upside potential. The best news of all is this stock is a #Trive50 share, which means 'Thrivalists' stand to pay $0 in brokerage fees when purchasing The Coca-Cola Company (KO) stock on EasyEquities. Coca-Cola was invented by a pharmacist called John Stith Pemberton, way back in the year 1886. Pemberton’s bookkeeper, Frank M Robinson is credited for naming the products and creating its logo. The distinctive coke bottle was originally shaped like a cocoa bean, even though Coca-Cola contained no actual cocoa. The name came from the two main ingredients, coca leaves and kola nuts. 'Coca,' which contained trace amounts of cocaine was used until the company removed it in the 1900s. The image we have of Santa Clause in his jolly red and white suite is all thanks to an ad campaign ran back in 1931 by Coca-Cola to boost dwindling winter sales.